It’s been a little while since I’ve bought an anCnoc whisky. There’s no real reason for this. It’s a great little distillery and its whiskies have always proved well-crafted and excellent value. So I bought another one – a new limited edition. anCnoc. Pronounced: a-nock. It’s located in Aberdeenshire, at the Knockdhu Distillery. So that we slightly tipsy and confused whisky fans don’t get confused with the Knockando distillery, which is owned by Diageo, its products have been released as anCnoc since 1994. It is these days owned by Inver House Distillers Limited, which is itself owned by Thai giant ThaiBev. Its range of light, fruity whiskies is varied. There’s the core age statements, which range from 12 years old to 35, and with a selection of other vintages. Then there’s the peaty whiskies, which is most unusual and pretty good too. (I reviewed the anCnoc Flaughter.) 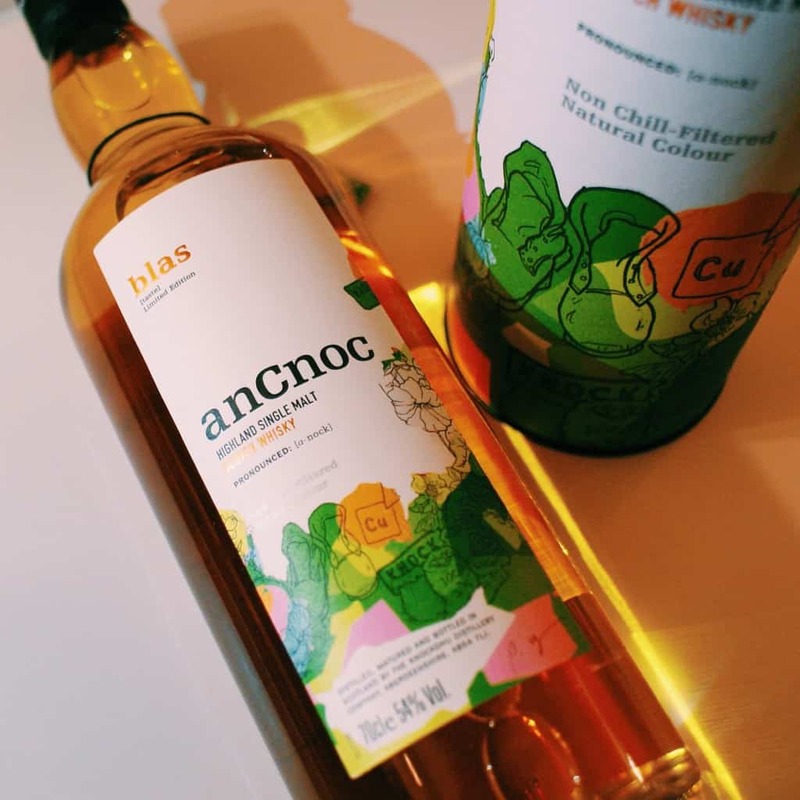 anCnoc Blas, which is my latest purchase, is about something else they do: collaborations. They’ve previously worked with illustrator Peter Arkle with whom they released a range of limited editions. 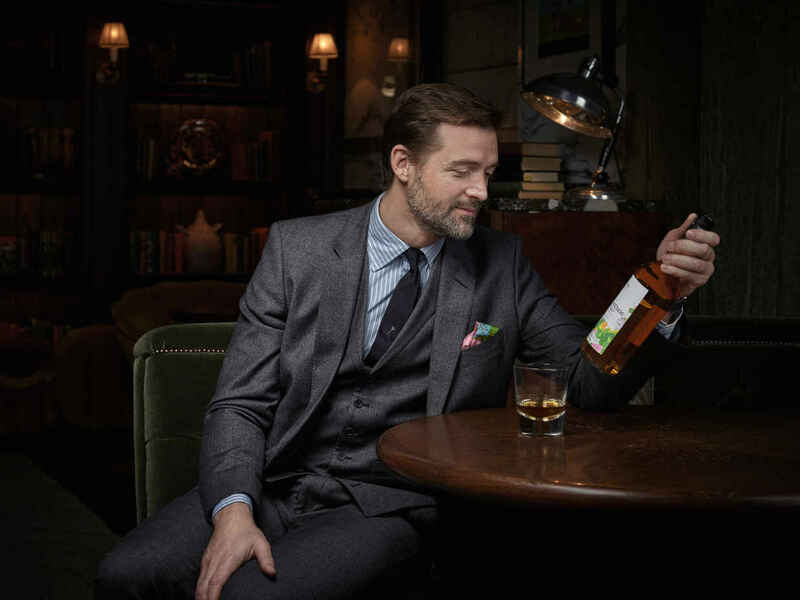 And now anCnoc Blas moves things onto fashion designer Patrick Grant, judge on The Great British Sewing Bee. 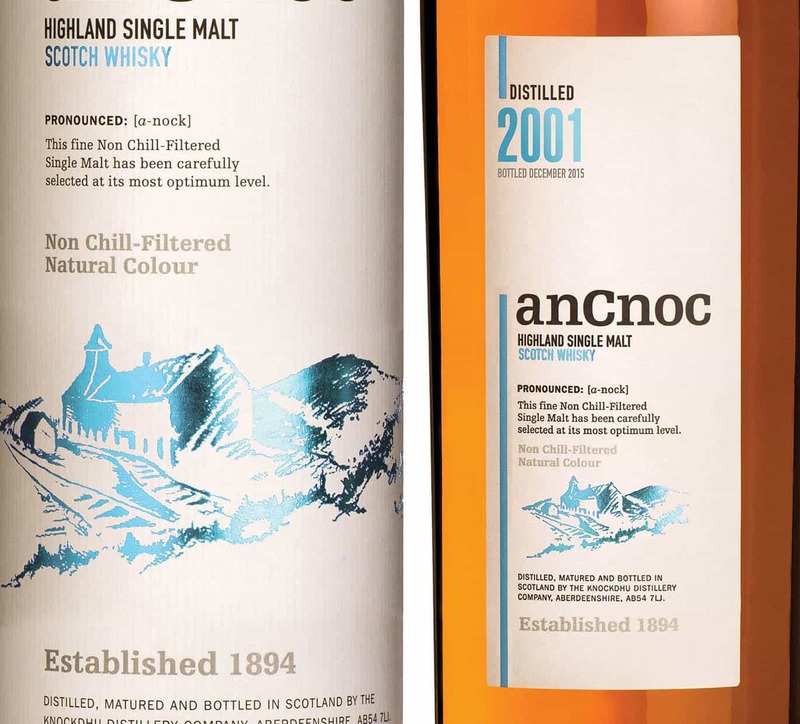 Not the most obvious choice for a whisky collaboration, but then again anCnoc’s branding has always been slightly different and stylish when it was not really common to see such finesse on bottles of whisky. Patrick’s influence was not on the whisky itself, but on the striking packaging. This is probably not the kind of thing that strikes at the heart of established whisky drinkers, but it’s certainly the kind of thing to push Scotch into the hands of new fans. I tell you what does appeal to older Scotch drinkers, and that’s a cask strength whisky that costs £50. I know it doesn’t have an age statement, but really, you don’t see that too often. 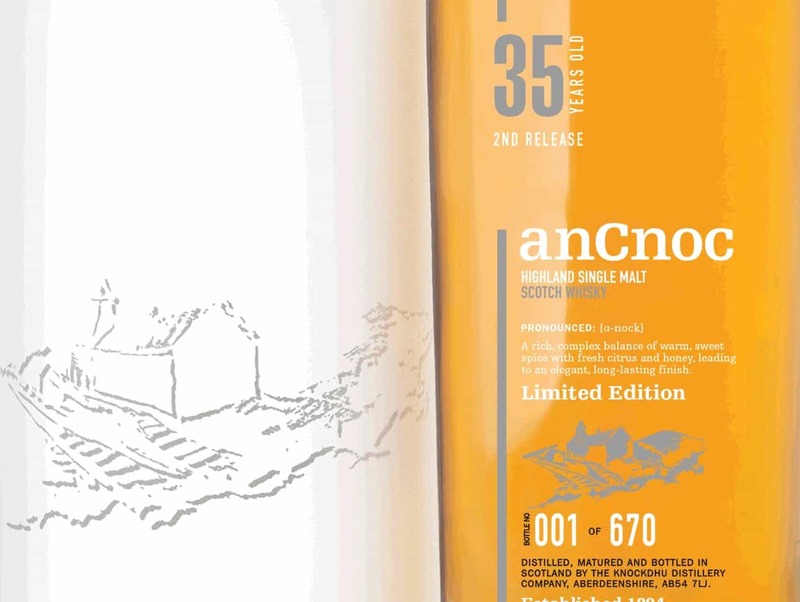 anCnoc Blas is bottled at 54% ABV. Colour: ripe corn, yellow gold. On the nose: exceptionally vibrant. Strong notes of grass, hay, malted barley. Immensely hoppy. Baked pears in syrup. Tinned fruit salad. Ground almonds. Touch of pineapple and grapefruit. Once left for a while, the fruitiness fades to leave huge, crystal-clear barley, and an almost new-make freshness. In the mouth: maple syrup. Freshly baked apple pie. Cinnamon. Oatmeal. Barley sugar. Very grassy. Lots of straw. Pears. A notable tannic dryness on the finish. Horlicks. Very spicy, with black pepper. Malty, and again like a light hoppy ale. There’s a lot of grassiness that reminds me of some Aultmores. I don’t think water does much to improve matters, but rather tones down what works well here – and that’s the vibrancy brought about by the high strength. A tasty, fruity, grassy whisky. Simple and uncluttered, but I think reasonably well-executed. There’s younger whisky in here with the old, I think, but it doesn’t really matter. It’s an enjoyable whisky that shows a lot of character, even if it’s not hugely layered and complex. It’s a fun whisky. But it’s definitely more a fashion trend than style icon.